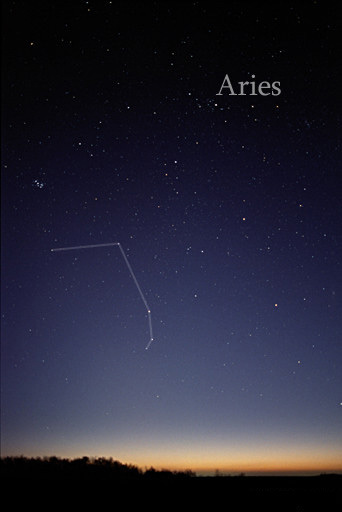 From March 21st until April 19th, it is the constellation of Aries that rules the night sky. This powerful zodiac sign is the first of the 12 constellations created many years ago to divide our birth charts up into equal segments. We already mentioned that Aries stands for ram, the animal. This is a fitting name for the people that were born under Aries as they are known to be courageous, confident, and strong. Just like the other 11 horoscope signs, Aries was named by Ptolemy, the great Greco-Roman astronomer who lived in the 2nd century BC. Like most of the 48 constellations he named, Ptolemy also picked a mythological creature for this star sign. So let’s have a look at what the story behind Aries the ram is. When checking the Aries horoscope, it’s important to know that this zodiac sign is much older than 1900 years, the time that Ptolemy was alive. Although Ptolemy gave Aries its name, the first mention of this constellation dates back to babylonian times. At first, Aries was an agrarian worker. But later, the babylonians changed it to ram. Historians are not sure why this change took place. In the 7th century BC, Aries was placed close to the vernal equinox, which is the equinox that indicates the start of spring. Aries’ importance grew significantly due to this shift. Nowadays, the spring equinox takes place under Pisces, due to the movement of the constellations regarding to our night sky. Aries was a golden ram according to Greek mythology. This tough animal saved Phrixus from a horrible death. Phrixus was the son of Athamas, the king of Boeotia. His mother was Nephele, the goddess of the clouds. He had a twin brother called Helle. Athamas got remarried and his wife Ino, the stepmother of Phrixus and Helle, hated the twins. She hated them so much that she concocted a devious plan to get rid of them. Her evil plan was to create starvation in Boeotia by ruining all the crops so there wouldn’t be any food available. When the farmers tried to find help from an oracle, Ino bribed them by saying they should tell the oracle to sacrifice Phrixus and Helle and all would be well again in Boeotia. At this point, Nephele, the true mother of the innocent twins, was informed and she stepped in. She sent a golden ram that could fly to rescue them. The beast took them on its back and flew away with them. 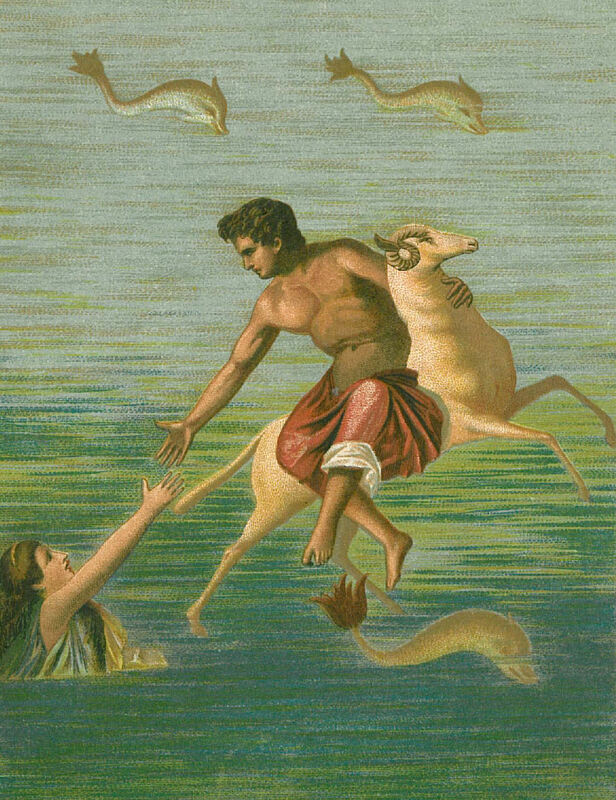 At a certain point, Helle fell off in a sea which was renamed Hellespont in his honor. The ram brought Phrixus to Colchis where king Aeëtes took him in and even gave him his daughter Chalciope’s hand. As a thank you, Phixus offered the ram to Zeus and gave the golden hair to Aeëtes. The happy couple got 4 sons, the oldest being Argos, who later started the famous Argonauts, but more about them in a later article.